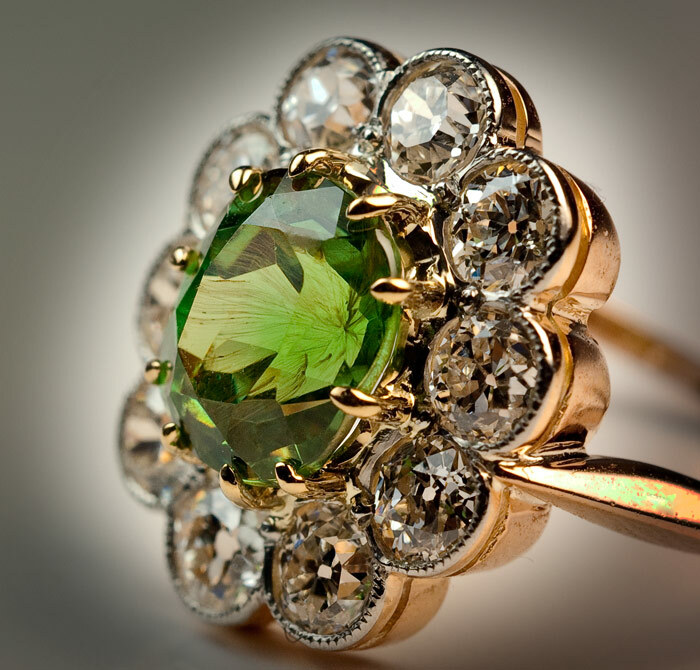 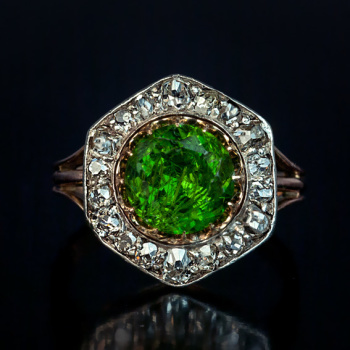 The 18K rose and yellow gold ring is centered with an oval 2.22 ct sparkling green Uralian demantoid garnet. 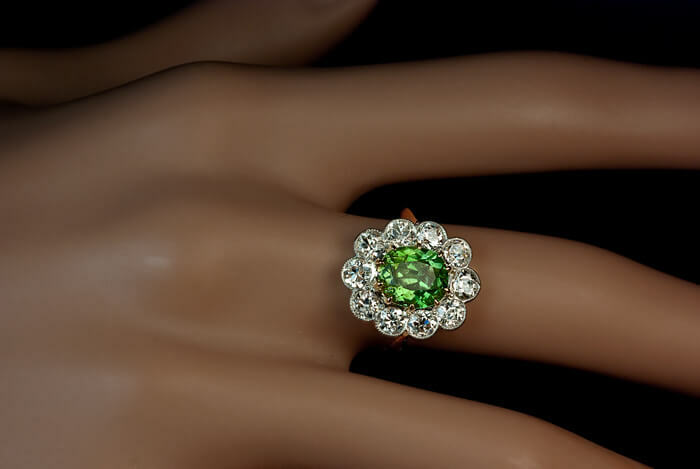 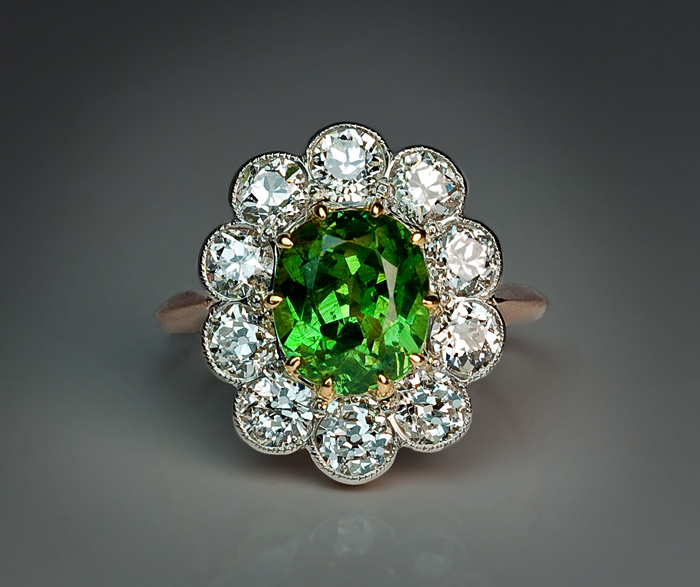 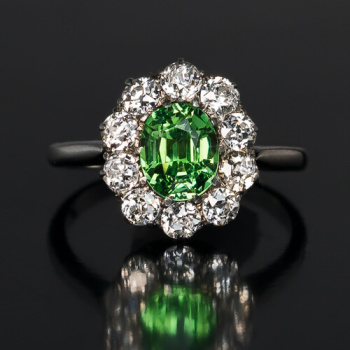 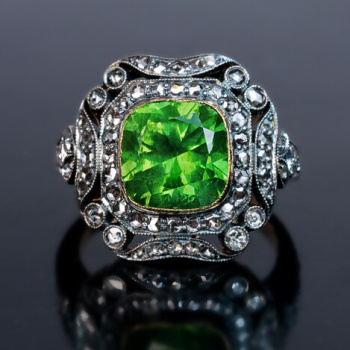 The demantoid is surrounded by 10 old European cut diamonds (estimated total weight 1.50 ct), set in platinum. 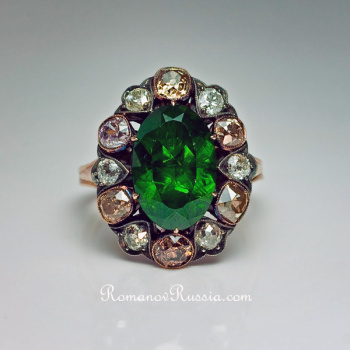 Russian demantoids over 2 carats are very rare. 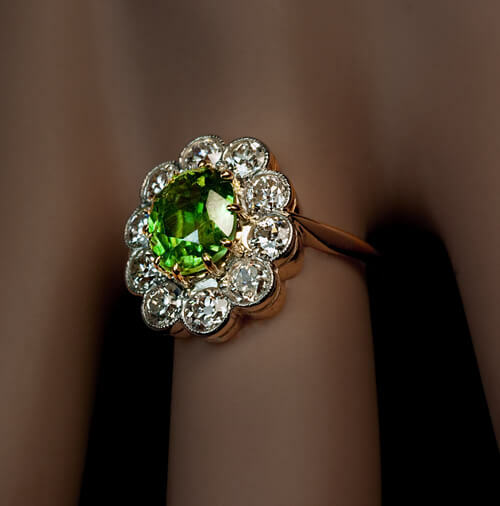 The demantoid displays a well defined large “horsetail” for which Russian demantoids are famed, confirming its origin from the Ural Mountains. 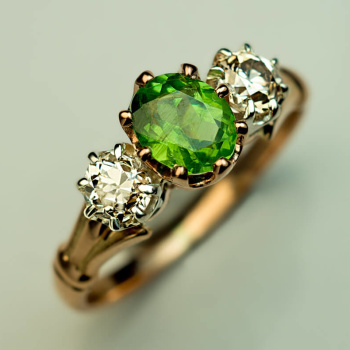 The presence of such beautiful “horsetail” increases desirability and value of the stone.